Windows 10 is routinely crowned “the best operating system to come from Microsoft – ever!” It is true, Windows 10 fixed issues created in the jump from Windows 7 to Windows 8 8 Features Missing in Windows 8 and How to Get Them Back 8 Features Missing in Windows 8 and How to Get Them Back Microsoft removed a variety of features from Windows 8. Many of them aren't great losses to most people, but they are if you depended on them. Luckily, Windows 8 isn't yet a locked-down mobile operating... Read More , but it is also creating a wonderful legacy of its own issues 6 Common Windows Upgrade Issues & How to Fix Them 6 Common Windows Upgrade Issues & How to Fix Them Upgrading Windows 10 can cause a number of complications. We show you what to watch out for and how to prevent or fix issues. Read More . True to form for Microsoft, then. It isn’t all doom and gloom. If you’re yearning for a lost feature 7 Things That Really Annoy Us About Windows 10 7 Things That Really Annoy Us About Windows 10 It's not a secret that Windows 10 isn't perfect. Cortana borders on being intrusive, mandatory updates can cause issues, and much appears half-baked. We present our top 7 of most glaring Windows 10 annoyances. 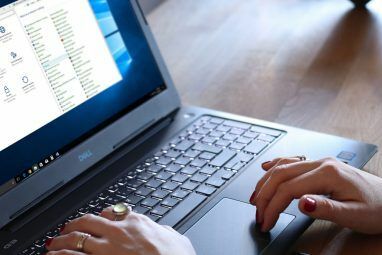 Read More , we have a handful of fixes for you 5 Settings You Must Check After Windows 10 Fall Update 5 Settings You Must Check After Windows 10 Fall Update With every upgrade, Windows 10 introduces new options, changes user settings, and pushes its default apps. We show you how to revert the changes from the November Upgrade back to your own preferences. Read More , covering those missing artifacts of operating systems gone-by. 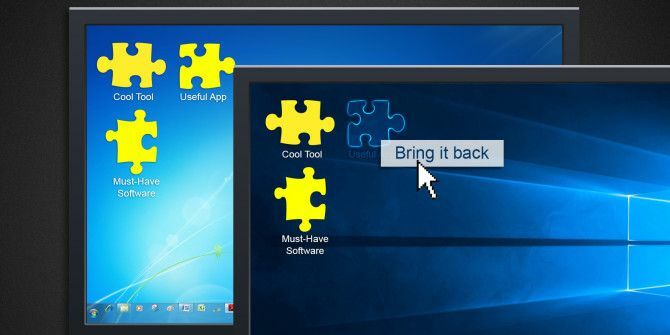 The Missed Features Installer for Windows 10 (MFI10) is the app that has been forging the path of replacing retired features, and it’s continuing the excellent work started way back when Windows users were outraged at feature loss between Windows XP and Windows Vista. Since then, MFI has been filling in the gaps, and bringing back popular features with each Windows iteration. Some buttons immediately open an installer. Others open secondary menus. Before making any changes to your system, make sure to create a backup. Features such as the Advanced Components Remover are a) experimental, b) not guaranteed to work, and c) have serious potential to cause harm to your system. Enough with the removals. What can we add? MFI10 features a Windows Media Center install button, bringing back one of the most maligned absences from Windows 10 in a couple of clicks, though you will need to sign-up to MyDigitalLife for this button to work. Depending on your preferences, it could be worth pursuing this installation elsewhere. Do consider the alternatives for Windows Media Center we describe below. I like the Microsoft Games installation package featuring games from XP Tablet PC Edition 2005, Vista Ultimate (with extras), and Windows 7 Ultimate (with extras), meaning the barren wastes of Windows 10 gaming 5 Legendary Windows Tools Replaced by New Features 5 Legendary Windows Tools Replaced by New Features Windows includes lots of tools that you use every day, but some have lasted longer than others. Here are parts of Windows that don't exist anymore. 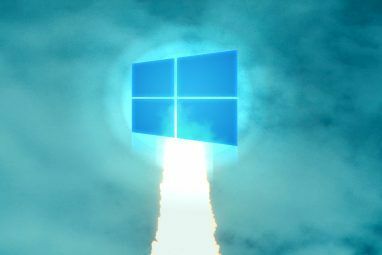 Read More will once again be full, and even better, they’ll be ad-free How to Ban Windows 10 Ads & NSFW Content from Your Desktop How to Ban Windows 10 Ads & NSFW Content from Your Desktop Windows 10 may be crossing a line with desktop ads and NSFW content. Microsoft and third-party developers can push promotional material directly onto your desktop. We show you how you can defend yourself. Read More . I’d forgotten how awesome 3D Pinball 7 Signs You Are a Seasoned Windows User 7 Signs You Are a Seasoned Windows User Windows has been around for longer than a lot of you have been alive. Do you know the trivia to prove you're a long time Windows user? Let's see what you remember. Read More was! Another popular MFI10 inclusion is Windows Desktop Gadgets. Our very own Christian Cawley wrote about how you could retrieve Windows Desktop Gadgets How to Get Windows 10 Gadgets for Your Desktop How to Get Windows 10 Gadgets for Your Desktop Desktop gadgets were taken away in Windows 8. Here's how you can bring widgets back to your Windows 10 desktop. Read More , and it is handy having these included in this application (though you’ll have to install them as usual, just so you know!). Finally for the MFI10 section, you can install the ClassicShell Start menu. This gives you options for Vista and Windows 7-style menus The History of the Windows Start Menu The History of the Windows Start Menu For all the pomp and ceremony surrounding the release of Windows 10, one of the most well-received features of the operating system is the return of an old friend—the Start Menu. Read More , along with options for accessing the inbuilt Windows 10 Start menu A Guide to the Windows 10 Start Menu A Guide to the Windows 10 Start Menu Windows 10 fixes the Start Menu dilemma! Getting to grips with the new Start Menu will supercharge your Windows 10 experience. With this handy guide, you'll be an expert in no time. Read More , plus there are a host of options for those deigning for a Classic Windows Explorer experience. Once you’ve installed the ClassicShell, Start menu options are found by right-clicking the Start menu icon, while Classic Windows Explorer options can be toggled by opening a windows, heading to View >Options >Classic Explorer Bar, then using the shell icon that will appear, as pictured below. As mentioned above, MFI10 can reinstall the Windows Media Center for you, but you’ll have to sign up to MyDigitalLife. There really is no need to do that. If you are unhappy with the Windows DVD Player offering, coming in at $14.99 and offering but a shred of the functionality of the Windows Media Center, it is relatively easy to reinstall it. You can choose from plenty of other free options. I personally use VLC Media Player 6 More VLC Media Player Features You Must Try 6 More VLC Media Player Features You Must Try VLC is a media player more powerful than you might realize. Are you using it to its full potential? Here are some pointers. 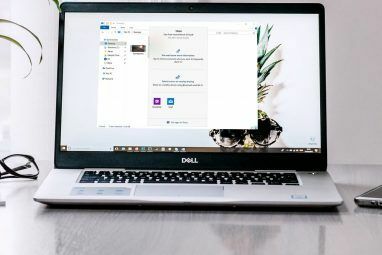 Read More , but many users swear by WMC 5 Alternatives to Windows Media Center for Windows 10 5 Alternatives to Windows Media Center for Windows 10 Windows 10 will offer many new features, but some old favorites will be deprecated. The Windows Media Center will no longer be supported. Here are alternative media center application compatible with Windows 10 to take... Read More for their satellite, cable, or terrestrial TV needs, and believe this to be one of the best applications Microsoft had the pleasure of removing from our systems. Again, Christian Cawley (man, he gets around!) has you covered with a comprehensive guide to downloading and reinstalling How to Get Windows Media Center in Windows 10 & Its Limitations How to Get Windows Media Center in Windows 10 & Its Limitations Windows 10 can run Windows Media Center after all. However, it is not officially supported, creating limitations, which might not make you want it in the end. Let us save you the time and explain... Read More the Windows Media Center for Windows 10. Okay, this one is a little more obscure in 2016, and I haven’t seen a floppy disk drive 5 Useful Things You Can Create With Your Old Floppy Disks 5 Useful Things You Can Create With Your Old Floppy Disks Read More since 2007 (I was walking around my university halls asking if anyone had a spare floppy for my extremely ancient laptop at the time – unsurprisingly, some students hadn’t even heard of a floppy disk. I felt old…at age 19.) Either way, they are still very much a real thing. You can bring back support for your floppy disk collection by heading directly to your driver manufacturers’ website, and hoping they have released new drivers, or try reinstalling the last available drivers. Both methods have been found to work. How else are you going to resurrect your NASCAR Racing career How To Get Old DOS Computer Games To Run On Windows 7 How To Get Old DOS Computer Games To Run On Windows 7 Read More spanning two decades? What Will You Put Back? Windows 10 updated Is It Time to Upgrade to Windows 10, Yet? Is It Time to Upgrade to Windows 10, Yet? Microsoft really wants to you upgrade to Windows 10. But should you? To help you make up your mind, we argue both the pro and the contra, and offer careful advice. How will you decide? Read More and brought a plethora of new features into our lives. Some of them are undeniably useful. Others have left us scratching our heads. Others still not even making an appearance were jolly irritating, but, as in the case of the Windows Media Center, were obviously part of the Microsoft commercial plan Windows 10 Upgrade - Free Doesn't Mean It Won't Cost Anything Windows 10 Upgrade - Free Doesn't Mean It Won't Cost Anything There's a catch to the free Windows 10 upgrade. Microsoft understands its audience all too well; they are more likely to pay for the freedom of control, rather than for extra features. Read More . You can now reinstall your favorite games, the Windows Media Center, Remote Server Administrator Tools, classic Start menus, and much more to create a Windows 10 experience you truly enjoy. What is your favorite Windows 10 feature? Were you surprised the Windows Media Center was dropped? Let us know what you think below! Explore more about: Gadgets, Start Menu, Windows 10. Please forgive my stupidity, but where is the download link. I cannot find it anywhere? Please forgive my stupidity, but what download link? I cannot find it anywhere. ah...I wouldn't recommend restoring Desktop Gadgets...Microsoft got rid of them because they were FULL of security holes and exploits that they didn't want to fix! Paul, I really don't see anything of value here. Remember that when MS screws up most people simply find a way around it. Best example was when MS removed the iconic system menu, most people just went and got an app to fix that problem and personally I like the app better. Sorry MS you missed that opportunity. Such is the case in the majority of MS screw ups. Now a days we are becoming a group of users who simply shape the windows product to our liking. It's great that MS minds the store and keeps in check all those terrorist types who would just love to make life an extended bad day but as for the MS minutia, when that gets in my way, I just go around it and find my own solution. To date I've been very happy with this approach. MS marches to their beat ($$$$) and will generally do what they want. They are not really concerned about you or I. So use what they offer if you like it, otherwise just find your way around it. There is always a way around it! And remember there are a lot of good non MS OS software packages available. It depends on your level of computing knowledge and exactly what you want your machine to do. But you can always find alternatives to your computing woes. The person using that Commodore 1541 drive was obviously a noob...they didn't have the requisite No. 2 pencil stubs (the eraser tip and about 2" of pencil) inserted into the four corner screw holes underneath to suspend the drive, allowing it to cool properly. Oh, well. Not everyone is as high-tech as I am. What else would I put back ? Gameport support ! I am having to use my old XP install on a spare machine in order to use any MIDI software. Afraid I am too much of a skinflint to buy a USB to MIDI adapter which won't necesarily work as it transmits data too fast ! In addition to restoring the Windows 7 style menu, it can also bring back the old menus of XP and 98. If you want to do this, when the icon is in the system tray, right click and pick Advanced Options. Then, scroll down to the option that makes Windows 10 icons large, and make the number a 1 (instead of the default 0).